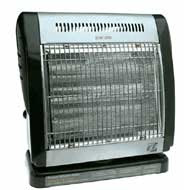 With cold winter temperatures comes the increase in the use of portable electric heaters. While they can be an efficient way to warm a room or supplement central heating, portable heaters can also be a fire or electric shock hazard if not used properly. Unfortunately, heating is one of the leading causes of home fires during the winter months. In fact, heating equipment is involved in nearly one in five home fires and nearly one in four home fire deaths. The leading factor contributing to home fires and deaths is heating equipment too close to things that can burn - upholstered furniture, clothing, mattress and bedding. Take care this winter to heat your home safely and check out home heating safety tips with Dan Doofus. Visit the Association of Home Appliance Manufacturers for additional information.